As we slip into autumn, many Loftowners take their Lofts off the market, believing that their Loft will not sell in the fall or winter. While it is true that selling heats up in spring and early summer, people buy Lofts every day of the year. Historically, the selling cycle followed a general pattern of picking up in the spring and summer for buyers with young families, tapering off in late summer and picking up again in the fall. While colder months—particularly November and December—slowed down due to the holidays. New studies show, however, that on average, Lofts listed between Halloween and New Year’s Day are more likely to sell, often sell faster and even fetch closer to the asking price. Typically, because there are fewer Lofts on the market, the competition for Lofts that are listed increases. Shrewd buyers often seek bargains during these months, and buyers without children don’t set their buying guidelines based on the school year. The truth is that just as sellers’ situations differ (job change, young family moving for school, retiring), buyers’ situations range from new employment or business relocation to seeking a second Loft to celebrate holidays. Sellers that keep their Lofts on the market into the fall season significantly increase their chances of selling. Less competition: Buyers believe the old “spring only” selling myth too. They may believe that in the fall and winter they won’t face the competition for a prized Loft that results in bidding wars and ultimately paying higher prices. Personal motivation: People move when they need to, so a new job in a new town or a buyer finally saving up the last of their downpayment doesn’t depend on a specific time of year. Age and situation: S. Census statistics show that older folk and those without children tend to move in the fall and winter months. In fact, by percentage of population movement, October rates higher (10.2%) than May (7.5%) and is nearly equal to both July (11.2%) and September (11.5%). Internet shopping: Most buyers shop online first. That means they can shop year ’round, and all hours of the day or night. They can see images of your Loft online in all seasons, so they have a realistic expectation what your Loft looks like seasonally. Assess your needs before listing your Loft. Do you need to relocate immediately? Do you have school-aged children you need to get into a new school system at the start of the school year? With more flexible relocation dates, you can adjust your selling period to the season that best reflects your Loft’s qualities. 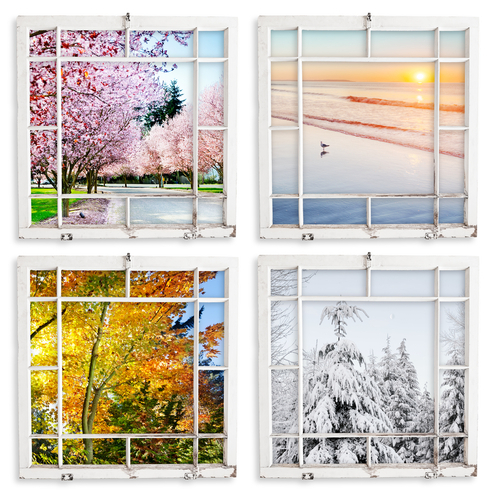 Beach, mountain or lake Lofts may sell best in the early spring and summer months so that buyers can enjoy them in their first year, but if they can be equally enjoyed in fall and winter, play up those qualities. A mountain Loft near a ski resort may sell well in the fall and early winter, while a lake Loft in a colder climate will appeal to enthusiasts of other winter sports such as snowmobiling and cross-country skiing. Beach Lofts may be more attractive to snowbirds as fall and winter approach.